Online estimation algorithms update model parameters and state estimates when new data is available. You can perform online parameter estimation and online state estimation using Simulink® blocks and at the command line. You can generate C/C++ code and deploy your code to an embedded target. To learn more about online estimation, see What Is Online Estimation? Implement an online polynomial model estimator. You estimate two ARMAX models for a nonlinear chemical reaction process. These models capture the behavior of the process at two operating conditions. 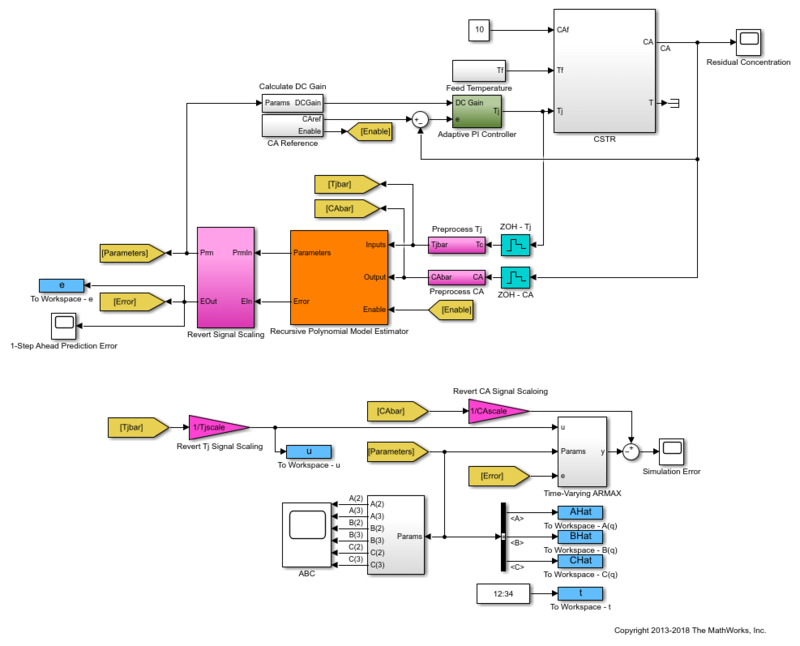 The model behavior is identified online and used to adjust the gains of an adaptive PI controller during system operation. 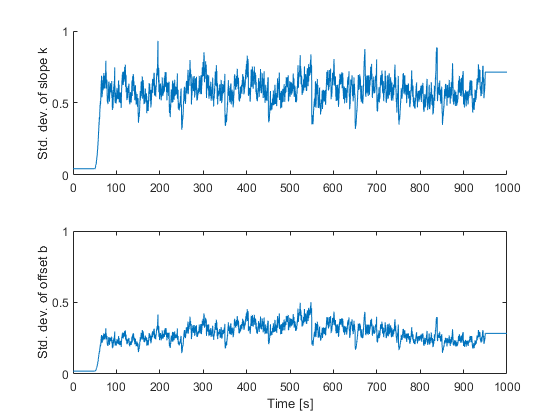 Perform online parameter estimation for line-fitting using recursive estimation algorithms at the MATLAB command line. You capture the time-varying input-output behavior of the hydraulic valve of a continuously variable transmission. 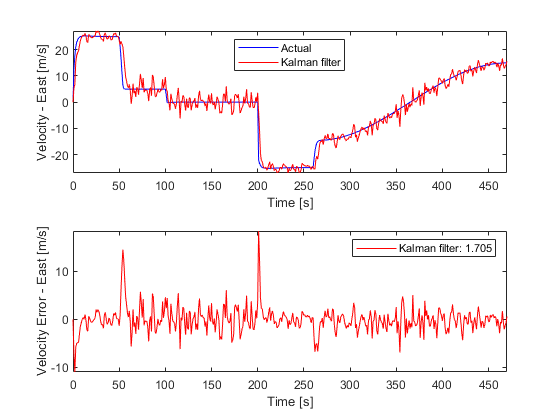 Estimate states of linear systems using time-varying Kalman filters in Simulink. Demonstrates the use of Particle Filter block in System Identification Toolbox™. A discrete-time transfer function parameter estimation problem is reformulated and recursively solved as a state estimation problem.